20 Funny Crochet Mugs Perfect For A Crocheter! You are here: Home / Lifestyle / 20 Funny Crochet Mugs For Any Crocheter! Funny Crochet Mugs can help any crocheter start their day off with a smile. If you are like me, nothing happens without coffee intake. I absolutely love coffee. A day does not go by without it. I simply can’t function and therefore, I could not crochet with it. I happened across some mugs the other day that just made me chuckle. I have many of these on my wish list. Below, you will find 3 different sections of crochet mugs. Everyone’s humor is slightly different. But you should be able to find one to suit you or the person you are giving the mug to as a gift. There are several mugs out there that crocheters would only understand (well, maybe some knitters would). For example, this “Bring Me The Yarn” mug. If you don’t know that a number 2 yarn size is fine, then you may not understand the mug. Or this “Bulky Yarn” mug, since a number 6 skein of yarn bulkier and a 1. For some general cute funny crochet mugs, these are perfect! These make great gifts as well if you are unsure how a crocheter would take the other mugs. 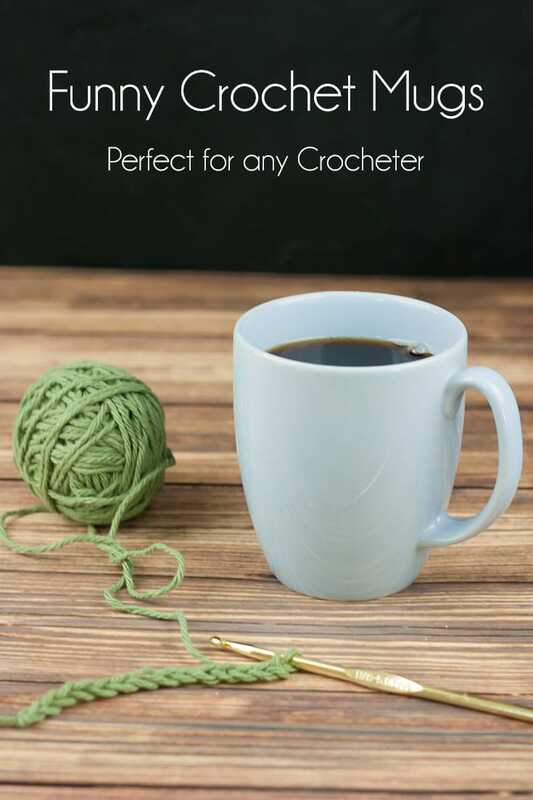 All of these mugs would make a perfect gift for a crocheter with a great sense of humor. Give the gift of laughter this year. All of these are funny!! Thank you for sharing!! I thought they were too funny and I just had to share.